The Supreme Court on Thursday agreed to constitute a Constitution Bench and hear petitions against tainted persons contesting elections. A three-judge bench headed by Chief Justice JS Khehar was hearing a petition filed by BJP leader Ashwini Upadhyay seeking immediate hearing of the petitions ahead of assembly elections to five states. Senior Advocate Vikas Singh, appearing for Upadhyay, submitted that the dates for Assembly election to five states had been announced and many dreaded criminals, against whom charges were framed by the competent court in serious cases, were planning to contest the election. He also submitted that if a five-judge bench is not constituted and the instant matter is not heard on priority, the nation will suffer irreparable loss and injury, hence, the matter was urgent. “We must clarify this matter so that people know the law by next election, so we will soon constitute a Constitution bench to decide these issues,” said the Bench. In March 2016, a three-judge bench in Public Interest Foundation. 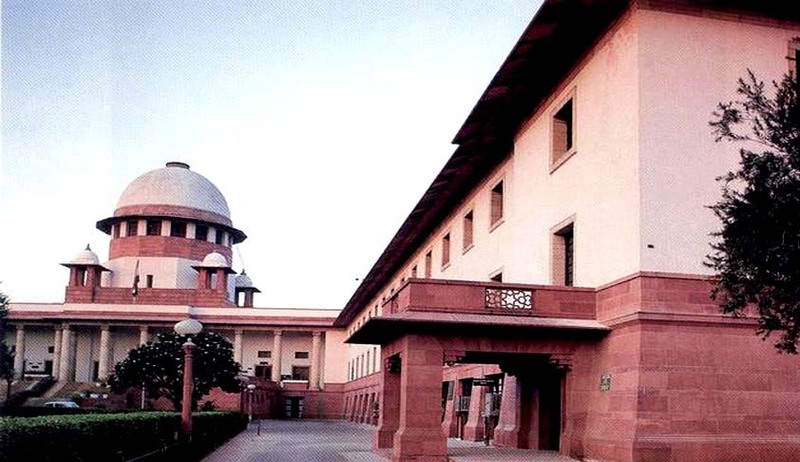 v. Union of India referred the question ‘whether a legislator facing criminal trial should be disqualified at the very stage of framing of charges against him by the trial court?’ to the consideration of the Constitution Bench. Upadhyay’s petition was tagged with the above matter. (2) Whether filing of false affidavits under Section 125A of the Representation of People Act, 1951, should be a ground of disqualification? And, if yes, what mode and mechanism needs to be provided for adjudication on the veracity of the affidavit? Disqualification upon conviction has proved to be incapable of curbing the growing criminalisation of politics, owing to long delays in trials and rare convictions. The law needs to evolve to pose an effective deterrence, and to prevent subversion of the process of justice. The filing of the police report under Section 173 CrPC is not an appropriate stage to introduce electoral disqualifications owing to the lack of sufficient application of judicial mind at this stage. The stage of framing of charges is based on adequate levels of judicial scrutiny, and disqualification at the stage of charging, if accompanied by substantial attendant legal safeguards to prevent misuse, has significant potential in curbing the spread of criminalisation of politics. Only offences which have a maximum punishment of five years or above ought to be included within the remit of this provision. Charges filed up to one year before the date of scrutiny of nominations for an election will not lead to disqualification. iii. The disqualification will operate till an acquittal by the trial court, or for a period of six years, whichever is earlier. For charges framed against sitting MPs/ MLAs, the trials must be expedited so that they are conducted on a day-to-day basis and concluded within a 1- year period. If trial not concluded within a one year period then one of the following consequences ought to ensue: – The MP/ MLA may be disqualified at the expiry of the one-year period; or the MP/ MLA’s right to vote in the House as a member, remuneration and other perquisites attaching to their office shall be suspended at the expiry of the one-year period. Disqualification in the above manner must apply retroactively as well. Persons with charges pending (punishable by 5 years or more) on the date of the law coming into effect must be disqualified from contesting future elections, unless such charges are framed less than one year before the date of scrutiny of nomination papers for elections or the person is a sitting MP/MLA at the time of enactment of the Act. Such disqualification must take place irrespective of when the charge was framed. After considering the report, the court directed that ‘in relation to sitting MPs and MLAs who have charges framed against them for the offences which are specified in Section 8(1), 8(2) and 8(3) of the RP Act, the trial shall be concluded as speedily and expeditiously as may be possible and in no case later than one year from the date of the framing of charge(s). In such cases, as far as possible, the trial shall be conducted on a day-to-day basis’.